Brilliant idea! 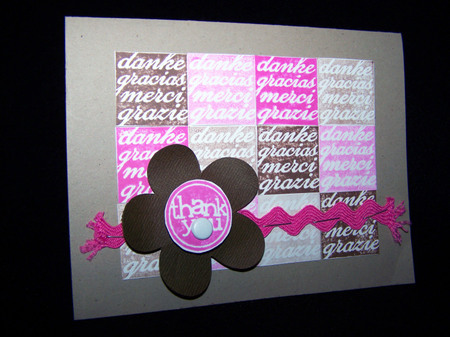 This "danke" stamp kind of looks like patterned paper done this way, and I love the various tones of pink and brown. Sherry stamped them, then cut out the squares and pieced them back together like a quilt. 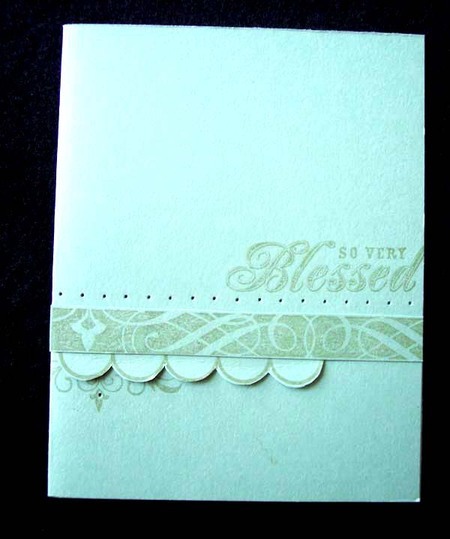 Ink, kraft cardstock: Stampin' Up! Yay, Elizabeth's back! 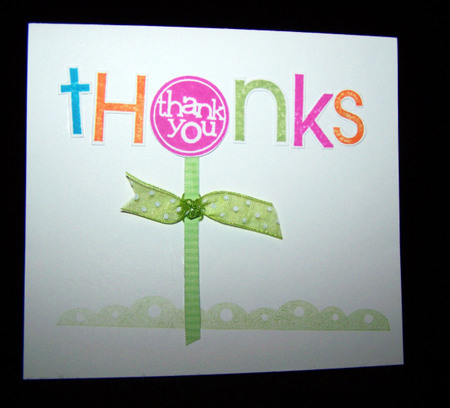 And with a super cute thank you card, love it. EZ Mount and storage panels are back in stock in the store. I ordered a ton of panels this time because they keep selling out so fast, so hopefully they last awhile, but you may want to get 'em while you can. So I was getting ready to take my son to his friend's birthday party the other week when I realized I was totally out of (non-Christmas) wrapping paper. 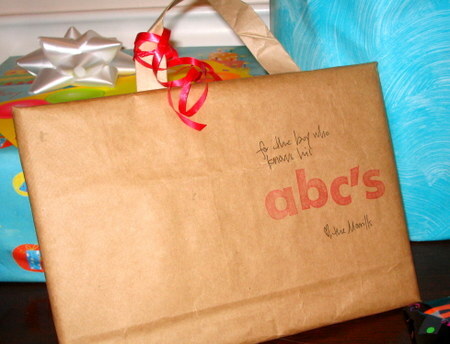 So I grabbed a paper bag w/ handles from under the sink, cut off one side and wrapped up a Dr. Seuss ABC book. Stamped on the front, added a little curling ribbon and voile! (Is that how you spell "voile"? Vwa-la...eh, whatever.) I love this idea, I think I'll start getting paper bags to have on hand, because you can carry the gift! Or make your kid carry it, which is what I did. Handy dandy. Cute thank you from Lauren! As a bonus, it works both horizontally and vertically. 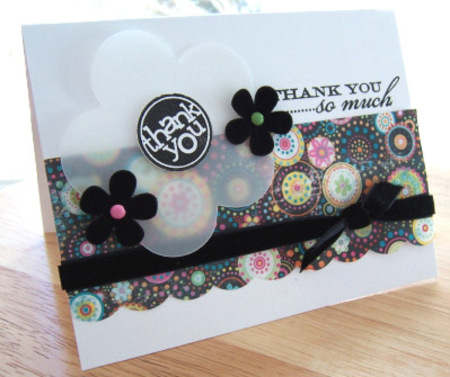 Black, gray cardstock: Stampin' Up! 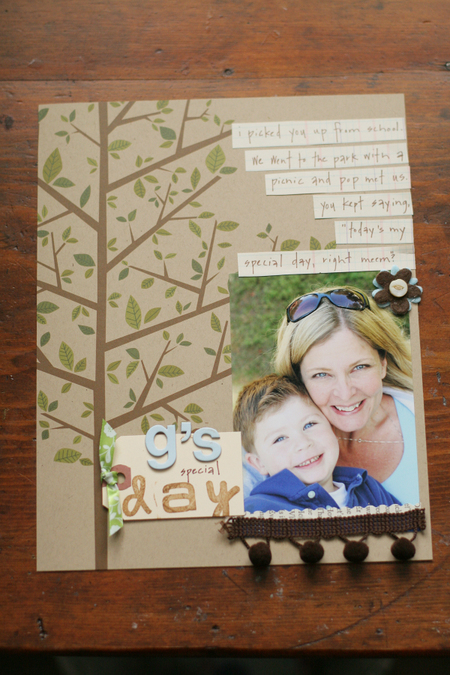 Corner rounder punch: Stampin' Up! I haven't done much stamping lately, what with the new baby and all. 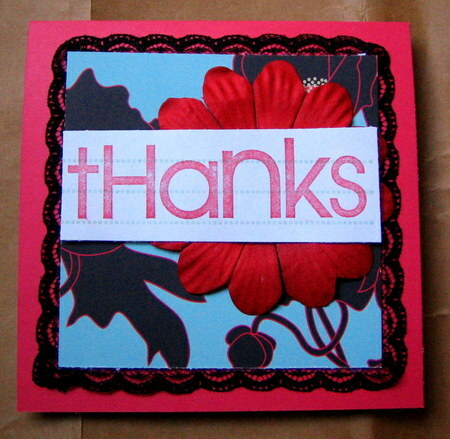 So it felt good to get back in the groove with this little thank you card. Sorry for the slow posting this week! Here's a super cute layout from Becky. Letter stamps: Sweet Baby Jane! Patterned paper: Scenic Route Paper co. I love the tone-on-tone on this card. To break things down a little, the scallop is from Baby Shower, the flourish underneath it is from True Love, and the big flourish across the middle is from Flourishing. Sherry bent up the scallop for dimension. 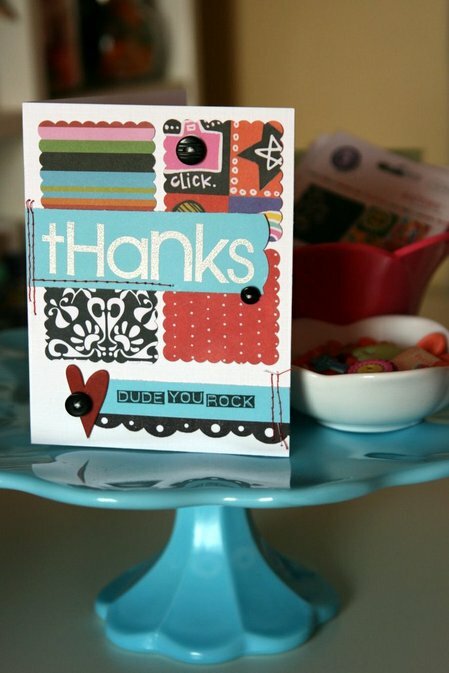 I love the bright happy colors on this card! Lauren made the scalloped edge with a corner rounder.